Make this quick easy table runner and coordinating cozy lampshade in a weekend! It’s just that easy. Select 6 charm squares for star bodies. Selecting coordinating star points and bodies lets your stars stand out in this runner. 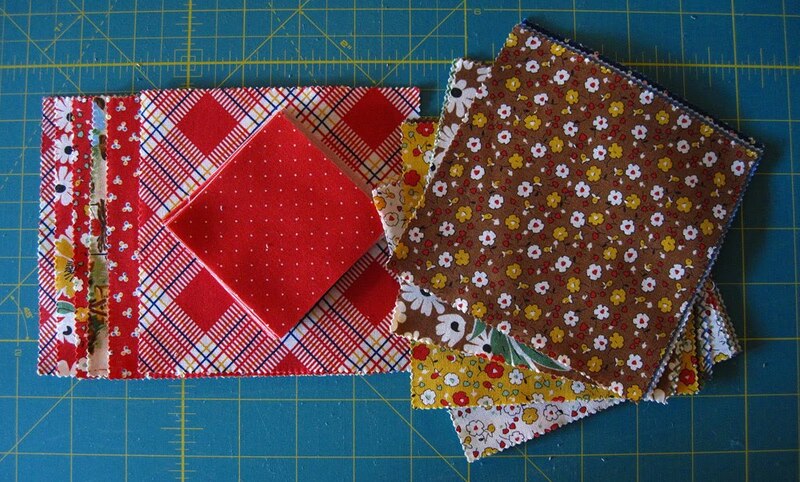 Select 18 charm squares for remainder of runner, setting aside 4 of those for corners. Draw a line diagonally through red pindot squares. 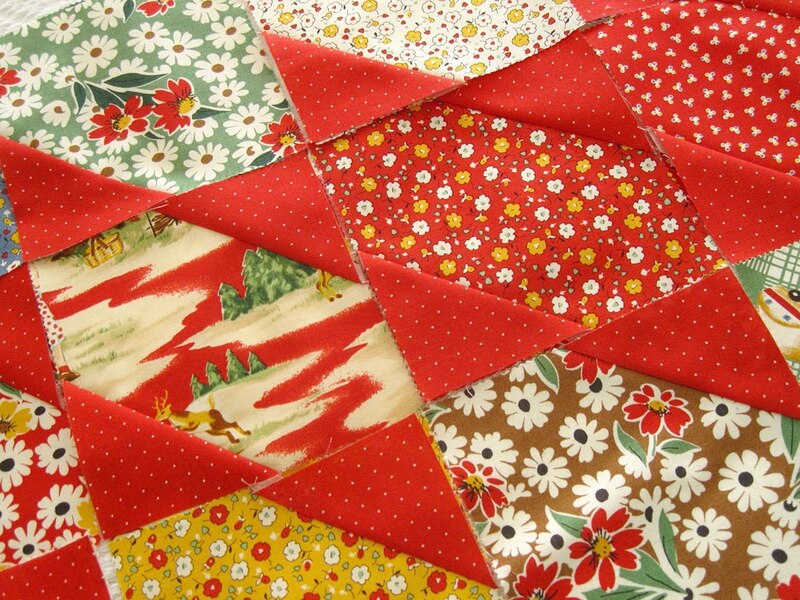 Stitch a red square on one corner of the remaining squares EXCLUDING the four corners. Press squares towards corners on all blocks. Cut away excess triangles if desired. I cut away the inner portion. 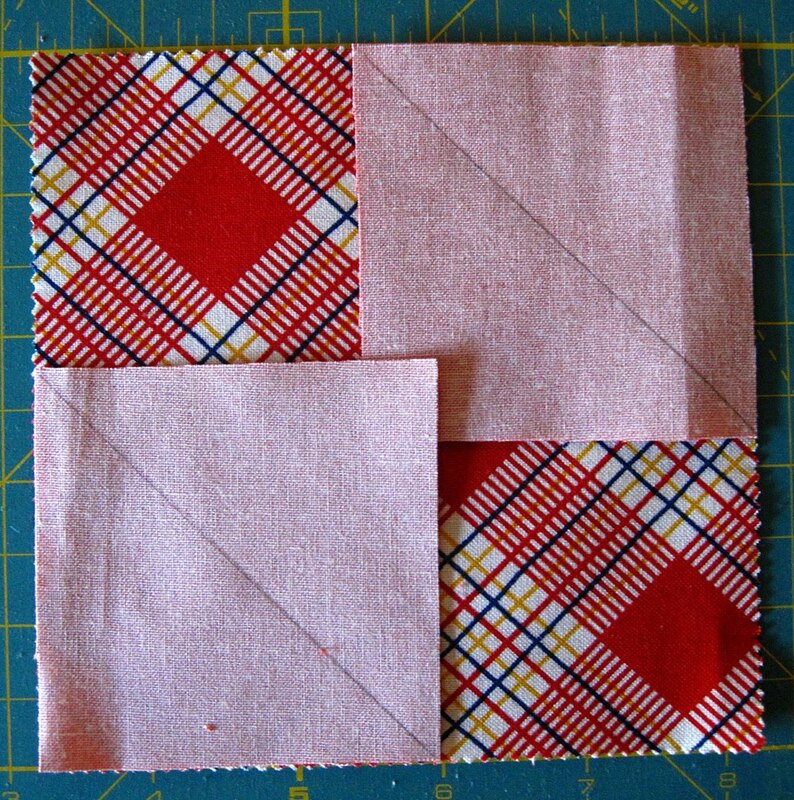 Using the finished runner as a guideline, layout blocks. 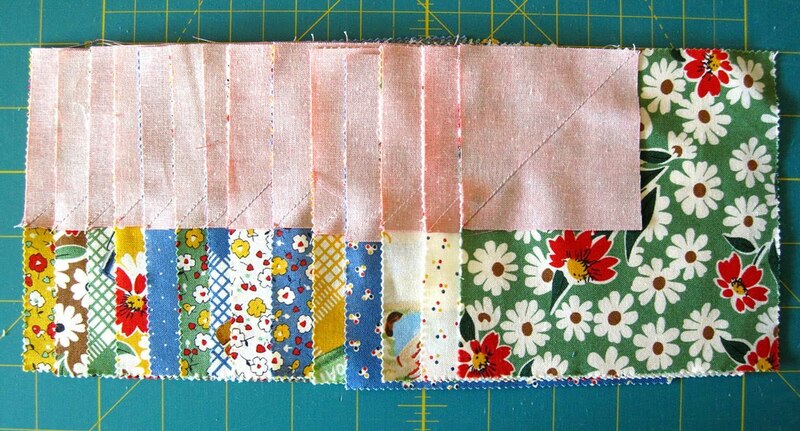 Stitch blocks into rows pressing in alternate directions. Layer and quilt as desired. Bind with 2 1/4 inch binding strips. Sit back and enjoy your fast and easy table runner. With gathering foot set as 6, gather a variety of honey bun strips 1/4 inch from top of strip. The number of strips needed will depend on the size of your lampshade. This medium sized shade took 16 strips. Set aside your favorite strip for the very top. I used one color for each layer. 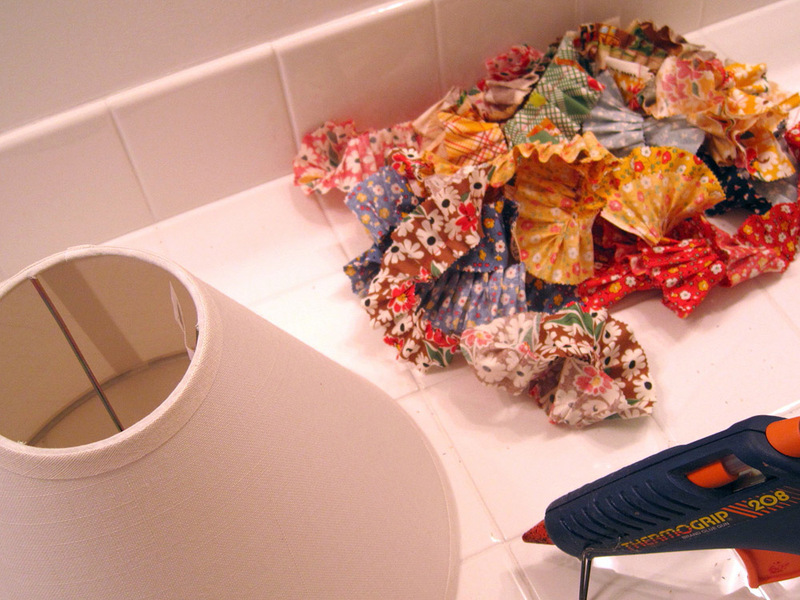 Lay out your strips and decide how you’d like your lampshade to look. Begin at the bottom of the shade. 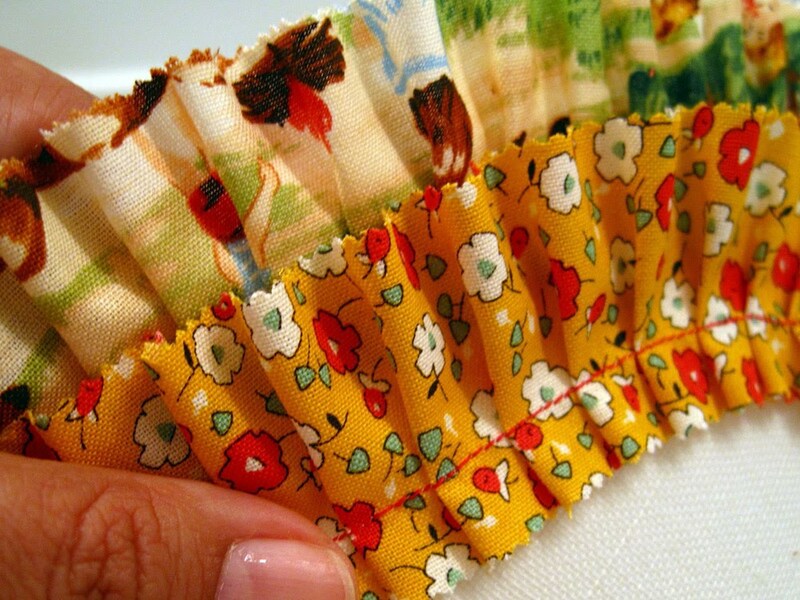 Using a hot glue gun or fast drying craft glue, run a small bead of glue at the binding line of the shade. 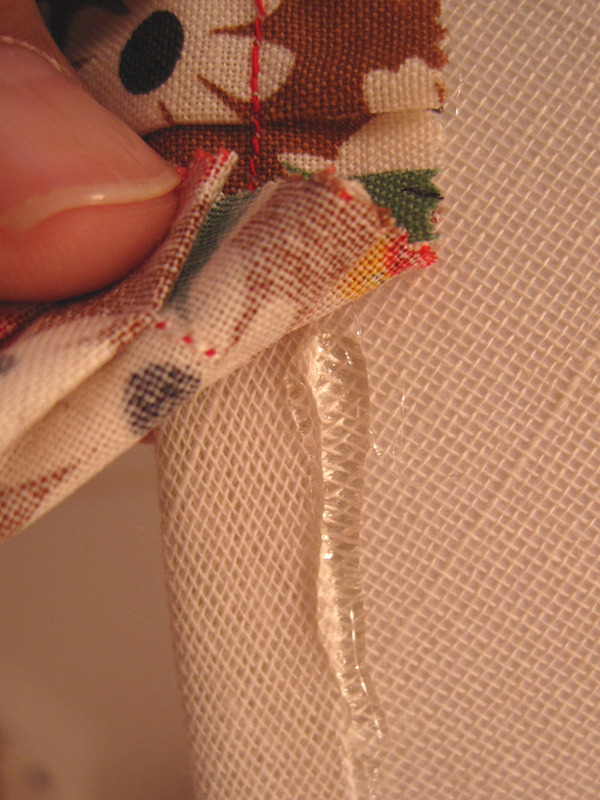 Line up the stitch line on the strip with the binding line in the glue. This will keep your outside edge nice and even. (Note: I like things that line up and appear nice and even, you might like it more whimsical. My instructions are a guideline.) Follow along edge of shade. On a medium sized shade one strip will only cover about half the circumference of the lower half of the shade. I glued the end of the first strip to the edge, then folded over 1/4 inch of the incoming strip and glued it over the first strip for a nice transition. 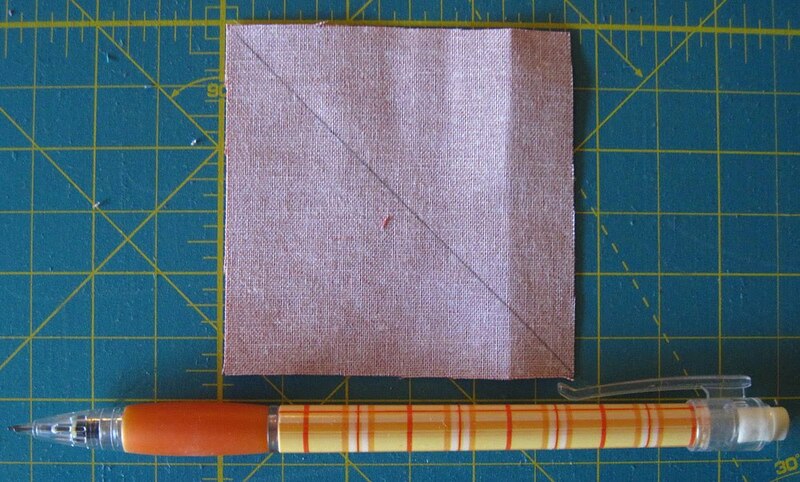 At the end, trim off excess, fold end of strip under 1/4 inch and glue in place over first strip. It is more important the bottoms of the strips match than the tops. 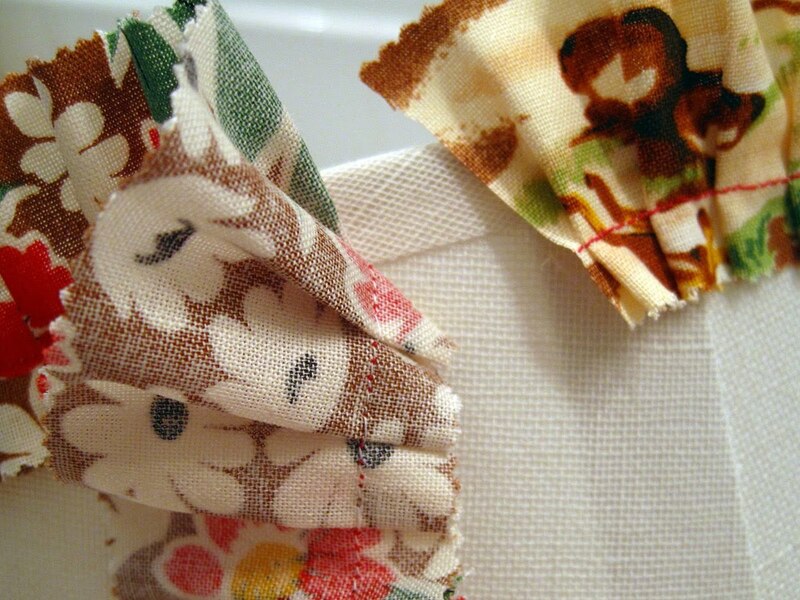 For the remaining rows, apply glue to gathering stitch line on strip, about 1 1/2 inch or so at a time. Line up so that the bottom of the new strip just covers the stitch line of the previous row. Begin and end rows in the same manner as instructed above. The last row is attached by running the glue bead around the binding at the top of the lampshade and adhering the last strip so the top is even with the top of the lampshade. 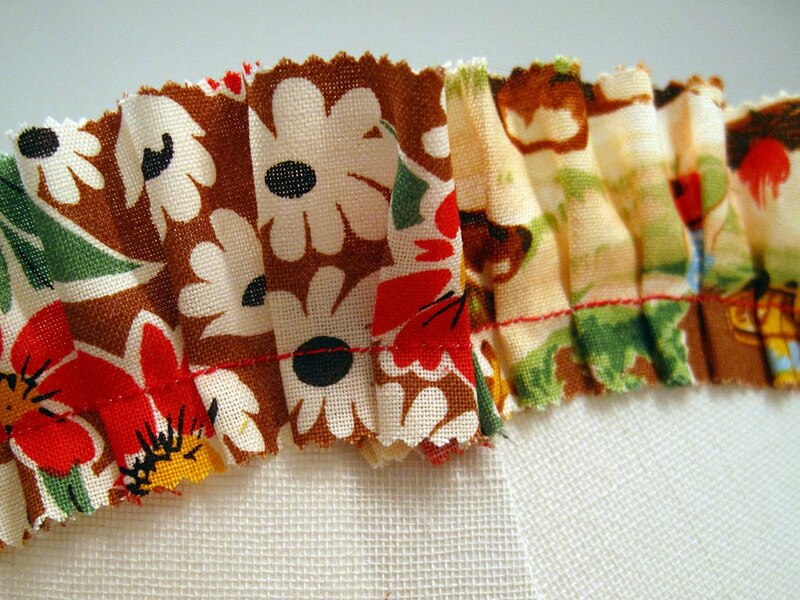 A strip of trim can be used to hide stitching if so desired. 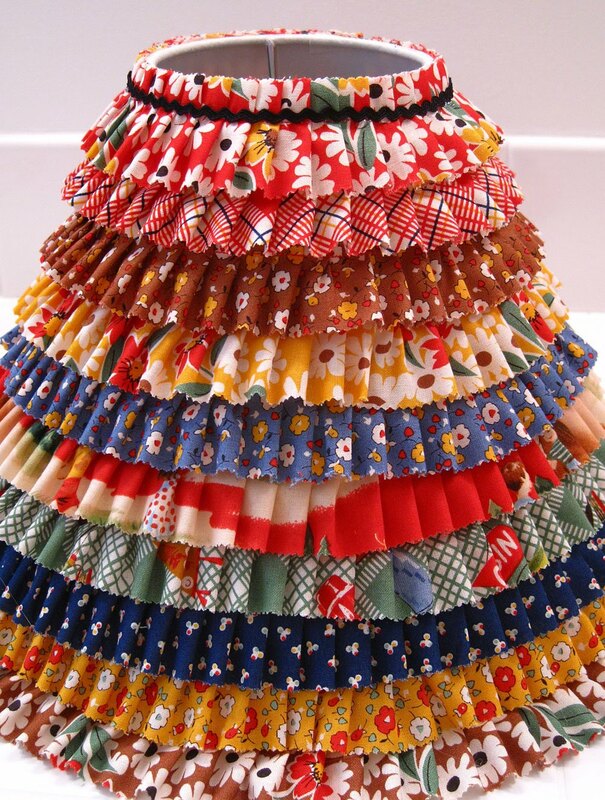 A fun and frilly lampshade! 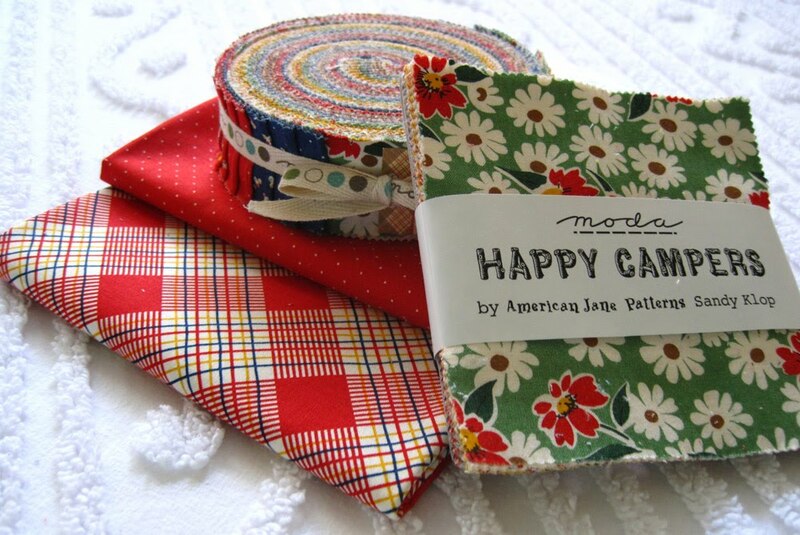 I hope you enjoy these Happy Camper Accessories as much as I do! This entry was posted in Charm Pack, Home Decor, Honey Bun, Moderate and tagged American Jane, Happy Campers, Pam Kitty Morning. I love the lampshade. 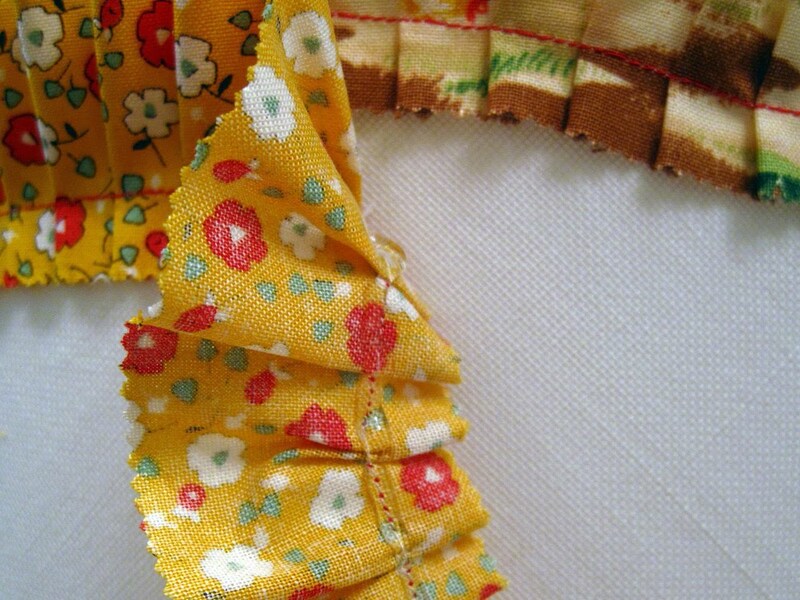 It's just so adorable and the quilted table runner is simply darling too! What a wonderful project!!! Both these projects are totally cute. And your tutorial is very nicely done. I love your blog! 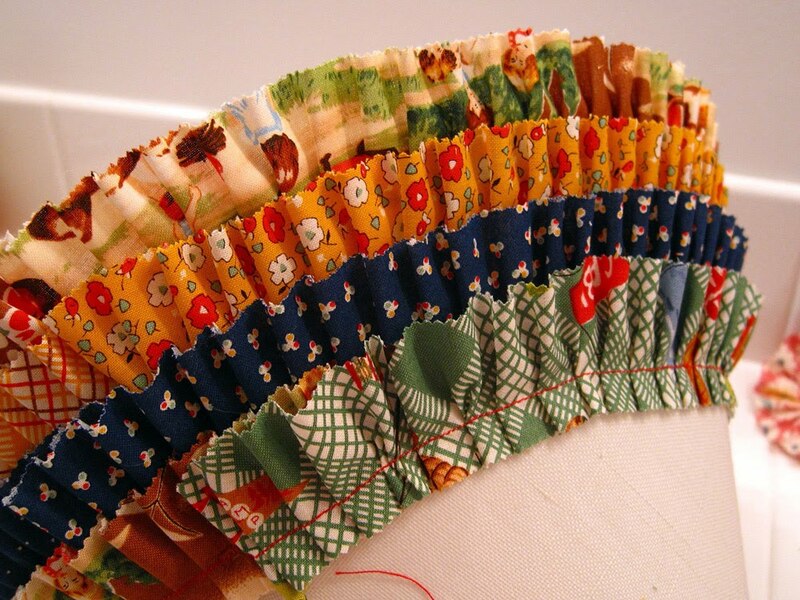 I'm portuguese and i folling this blog for look your adorable projects. I'm sorry i dont “talk” and write inglsh very well. You are a genius! So darn cute! Love both projects. Love that they are quick and can be cone in a weekend. I just LOVE this blog! Thank you to everyone who has contributed! I so enjoy getting these free patterns and ideas! 😉 You are all so talented! You already know how I feel about that lampshade…swoon! I think my house needs some more lamps! I love that lampshade!! And the tablerunner is very cute! That lampshade is just about the cutest things I have seen in a long time! 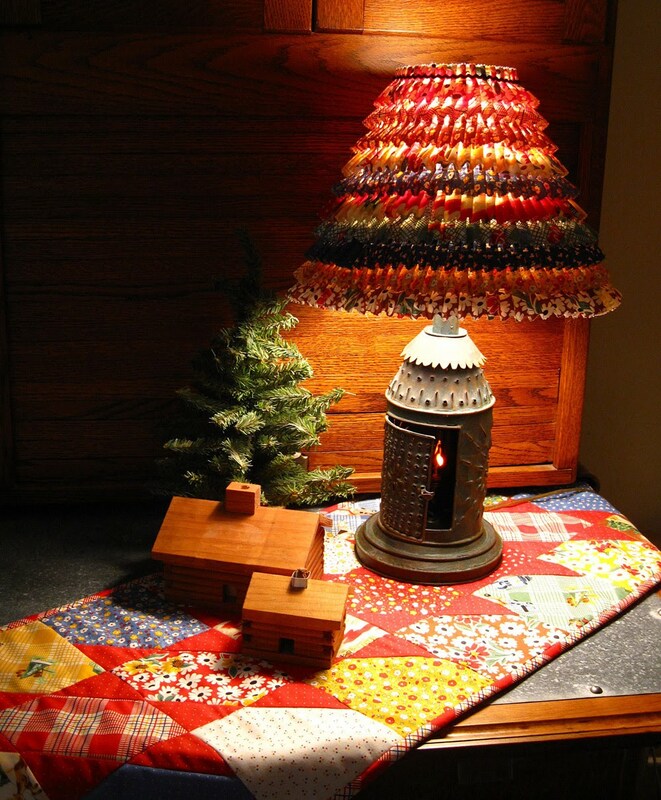 maybe i should make one like yours so that the lampshade i did will have a friend. I cut myself trying to jump through my monitor. I just want to be in that photo with your lamp and table runner. I can almost smell the lakewater and the pine trees at the cabin. I'm gaga over your projects, Pam. Ga. Ga.
Ack! Mega mega adorable!!! Gobsmacked! Wow – fantastic, Pam! I'm gonna make one for my new studio at the Squash House! Thanks for a terrific idea! I love these! Very nice job! I will definitely be making them. Oh my word Pam. That lampshade alone is worth ever having come up with the idea of honeybuns. SO SWEET!! Trabajo extraordinario, la felicito.Sencillas y precisas instrucciones. How cute is this?!!! I love it! Oh my, that lampshade is so very cute! Love it! I don't think I've EVER seen a cuter lamp shade!! I love it! Very cute idea Pam! Love the lampshade—do i have a gathering foot??? I will have to check!